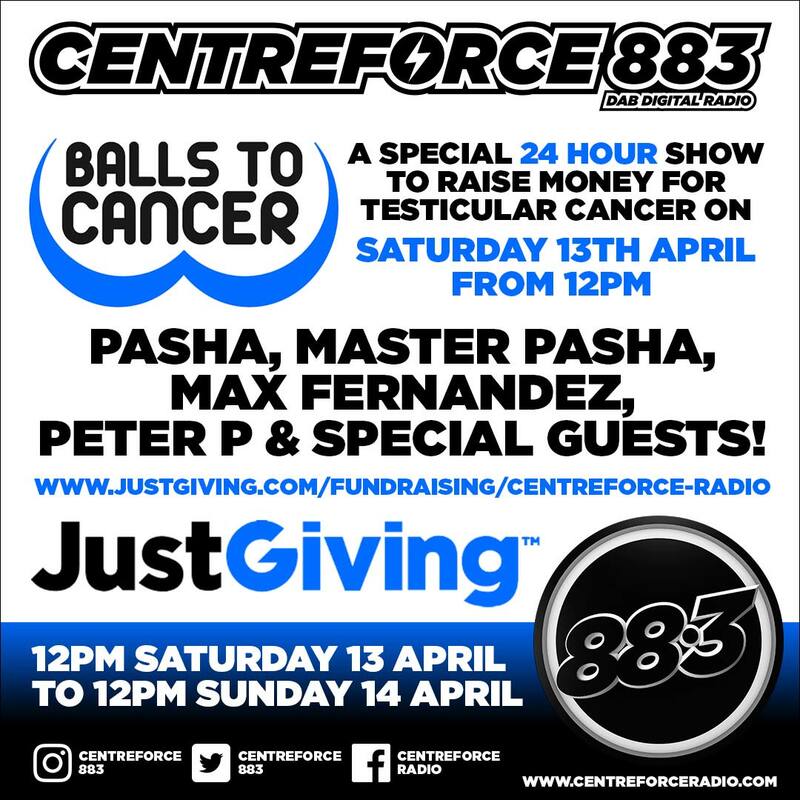 24 Hour Party People, Centreforce is going through the night on Saturday 13th April with its 24 hour marathon show for its debut Balls to Cancer event. And what an occasion it will be. The 24 hour show will be delivered by Mister and Master Pasha, Peter P and Max Fernandez, with special guests and Centreforce DJs dropping in. There will also be auctions and competitions taking place so get your bids ready! The Centreforce DJs, staff and family are really pulling together to make this work for an important topic and special cause and, what will be for certain, a memorable 24 hours. Be sure to be locked on and remember to stock up on coffee and biscuits. DJs are also taking part in a number of challenges from a hot wing eating competition, getting their back waxed, sky dive and DJing in a mankini! 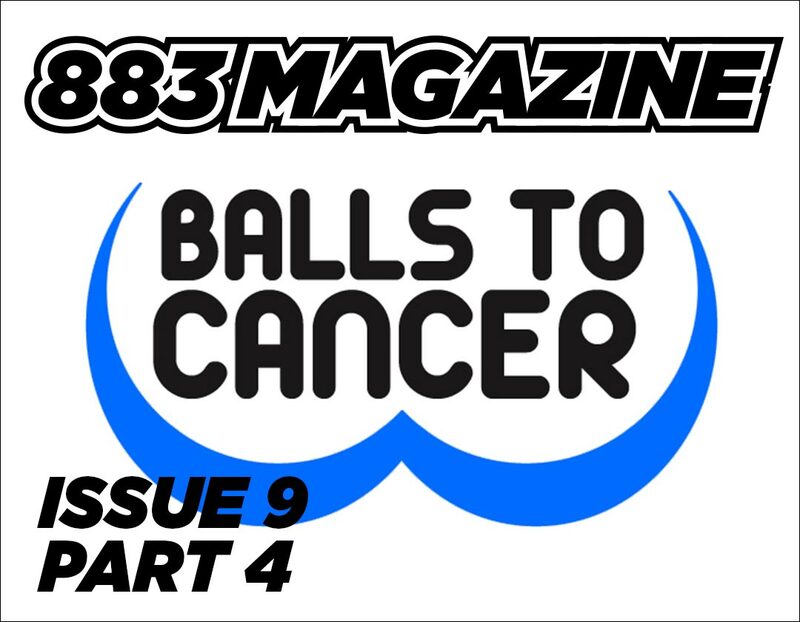 April will also see our Balls to Cancer marathon event being shared with new shows starting up from original Centreforce DJ Seeker, Luck and Neat, 2 Bad Mice, Nookie, Paul Casey and an additional show from the incredible Alex P. Fasten your seat belts, it’s going to be a good month! 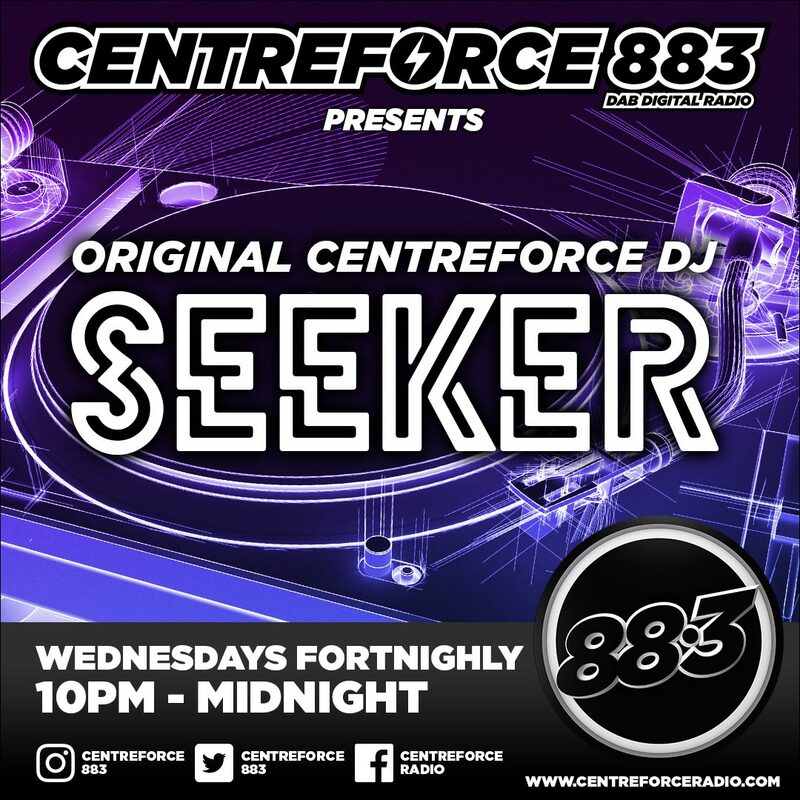 Original Centreforce DJ Seeker is back playing on London’s finest DAB station. Seeker who recently played at Slip Back to ‘89, will play every other Wednesday at 10pm – we can’t wait to have him back.